Garrett Graham and his wife Erin are the owner/directors of Camp Glen Arden in Tuxedo, NC. Garrett began his career in camping with the YMCA in 1996 and residential summer camping in 2000. 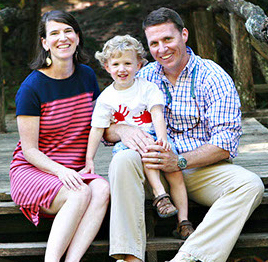 Erin and Garrett grew up in Columbia, SC and have a three-year-old son named Henry. Prior to coming to Camp Glen Arden, Erin and Garrett served as the directors for many summers at an all girls summer camp in Flat Rock, NC.